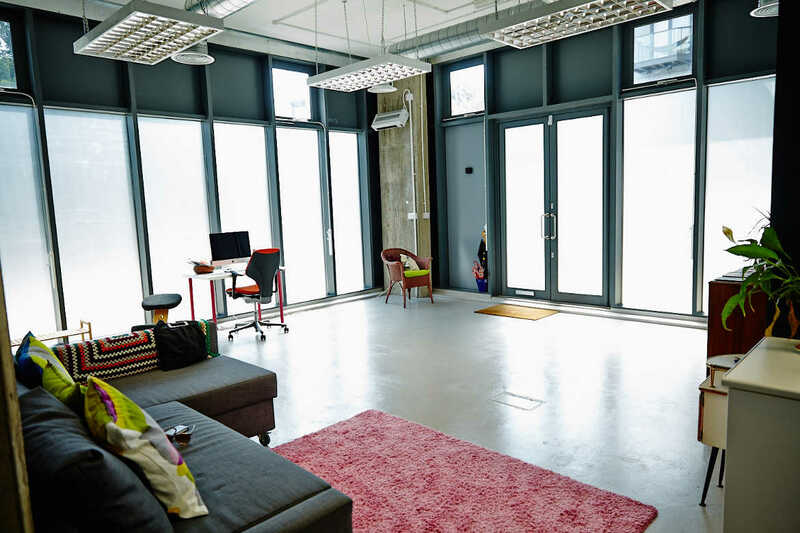 New Hackney Wick Office to Let – 1,421 sq. ft! We are delighted to bring a self contained office in a mixed use development to the market in Hackney Wick, E9. Situated on the former Matchbox Car Factory site, Matchmakers Wharf is set on the banks of the River Lea and offers a wealth of local amenities including shops, and restaurants/bars, new and old, since benefiting from the redevelopment effects of the London 2012 Olympic Games. The ground floor office space available to let is 1,421 sq. ft. and has been fitted out to provide open plan media-style accommodation with excellent floor to ceiling heights, exposed services and columns/ceilings, bike storage, a 24h concierge and CCTV, disabled access and bathroom. For the full brochure and details on how to book a viewing, contact us.